Our eyes are one of the most inviting and memorable components of our face and, unfortunately, they are also one of the first parts of our face to show signs of aging. Excess skin, caused by a natural decrease in skin laxity, can cause a droopy upper eyelid or a wrinkled appearance to the lower eye area and interfere with your vision. 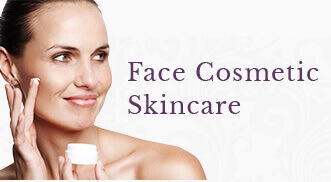 Distended fat pads under the eyes can cause a heavy, worn out and droopy appearance. An upper and/or lower eyelid blepharoplasty procedure can offer a fresh, more youthful and vibrant appearance to your eyes. Excess eyelid skin and bulging bags can be remedied through a surgical procedure called blepharoplasty, commonly referred to as an eyelid lift. Some of us are born with heavy lids or get puffiness under our eyes much sooner than others. As a result, patients often express concern about looking tired, and are frustrated because they look much older than they actually feel. Many women even note that they have difficulty applying mascara and eye makeup because of the excess of skin in that area. All of these concerns can be addressed with an upper and/or lower lid blepharoplasty, with the goal of looking rejuvenated and rested without anyone knowing a procedure was done. Upper lid blepharoplasty is a surgery designed to improve the appearance and youthfulness of the upper eyelid. As we age, we lose fat and bone volume from the upper lid region, and the skin becomes looser. This combination creates the appearance of loose, saggy, or excess upper eyelid skin. This makes people look older and more tired. In certain cases, patients may feel like they need to tilt their head back to read a book due to the heaviness of the excess tissue. Upper blepharoplasty surgery typically focuses on removing upper eyelid skin to create a more youthful, refreshed appearance. In the past, muscle and fat were often removed from the upper eyelid which, over time, could create a hollow, skeletal appearance that was anything but youthful. Now, we know that it is important to preserve upper eyelid volume and no muscle or fat need be removed. In some cases, fat or filler is placed in the upper eyelid to add volume back to this region. Lower lid blepharoplasty is a surgery focused on improving the appearance and youthfulness of the lower eyelid. We all have a large amount of fat around our eyeball that is held back into the eye socket by tough layers of connective tissue. As we age, these connective tissue layers weaken and fat can begin to “bulge” into the lower lid. This creates the appearance of lower eyelid bags, which make a person look old and tired. At the same time, the fat in our cheeks begins to move downwards, exposing the bone beneath our eye. Thus, instead of a youthful, smooth junction between the lower eyelid and the cheek, there is a bulge above a hollow. This can create shadows on the lower eyelids, adding to the appearance of dark circles and tiredness. The goal of lower lid blepharoplasty is to get rid of the bulging and hollow regions, and to recreate a youthful, smooth lower eyelid. In general, lower lid blepharoplasty is more complicated and has a longer recovery than upper lid blepharoplasty. Lower lid blepharoplasty can be performed with an incision through the skin just below the lower eyelid lashes, or through the inside of the lower eyelid. Studies have shown that there is a lower rate of dry eye and rounding of the eye when the incision is made through the inside of the eyelid, which is the technique our surgeons prefer. As an added bonus, the incision from inside the eyelid is completely invisible. Your surgeon will determine which approach is best for you. It is important to note that a blepharoplasty procedure by itself will not provide an appreciable benefit for fine lines and wrinkles around the eyes. Our facial plastic surgeons recommend laser resurfacing and Botox® injections as options that can reduce wrinkles in this area. In addition, excess upper eyelid skin may be partially due to descended eyebrows, and if this is the case, an eyebrow lift can be performed to maximize your result. Following your blepharoplasty procedure you can expect to be asked “Have you been on vacation?” Or “You look so good! What have you been doing?” Like all of our surgical procedures, our surgeons aspire to deliver the most natural looking results that look appropriate for your features. 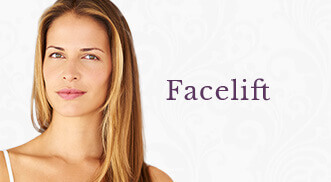 Our aim is to make you look like a more youthful version of you; NOT another person. Blepharoplasty is an outpatient surgical procedure typically performed at our Midwest Surgery Center, conveniently located within the Midwest Eye & Ear Institute in Woodbury. 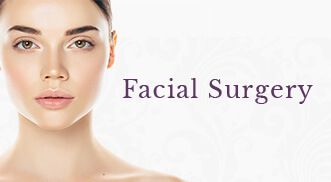 This procedure typically takes 1-2 hours depending on your specific requirements. One can expect some temporary bruising, swelling, and/or sensitivity to light post procedure. To maximize a quick recovery and minimize potential adverse healing, you should be in good health and eliminate smoking prior to and following surgery. As with all of our cosmetic surgery procedures, a consultation including a physical examination with our facial plastic surgeons will be performed prior to any procedure to determine if you are a good surgical candidate. Are you interested in learning more about Blepharoplasty (Eyelid Surgery)?